The hubs and I are currently making plans to re-vamp our garden, next summer (2017) we are hoping to have a mini extension and have bifold doors fitted to the back of the house onto a new patio. Because our existing, rather sad patio will be taken up, we will be having a new one. One of the main reasons for having the bifolding doors was so that the patio becomes an outdoor room for entertaining and relaxing, I can't wait! 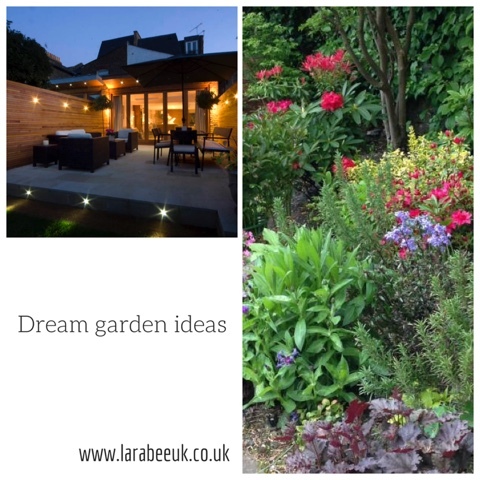 We started looking for garden ideas and have been using the online platform Homify for suggestions, it's a great resource for looking through and getting some really great ideas for home improvement. The first main item on our checklist is the new entertaining patio area, we're hoping to have a nice outdoor seating area next to our table and chairs, quite similar to this. How amazing does that look? Great for family movie nights, date nights and parties! We would also need a BBQ area and definitely some sort of fire pit or heater, that would help extend the time we could spend out there! 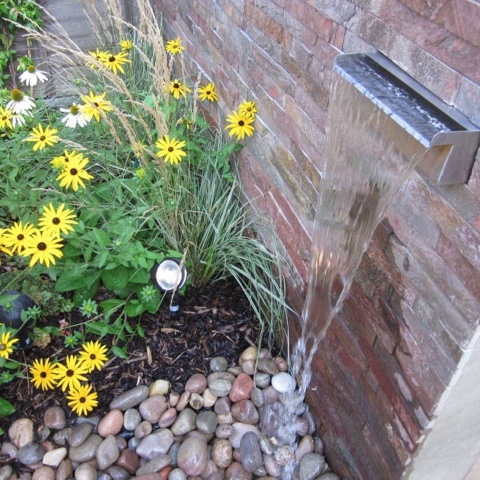 I really love water features too so I'd definitely include one in my dream plans, I liked the simplicity of this one, I can just hear the gentle water noise now! Lovely and relaxing. 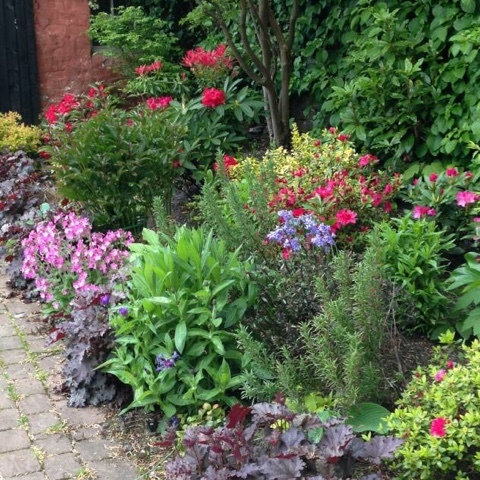 We have a lot of trees and shrubs in the garden but nothing really much of a border, I think a border like this would look lovely and add some much needed colour, I'm not sure how much maintainance it would take though! Finally on our checklist is a fort area for T, now, we absolutely do not have the space for this but how amazing is it? 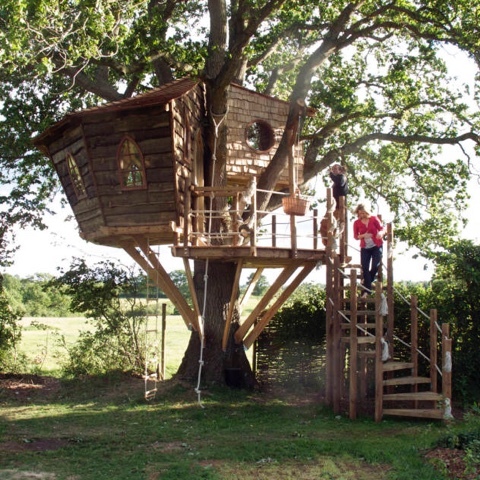 A proper tree house, in fact if T had this I think he'd move into it! Is there anything really important that I've missed? Are you planning any home renovations? 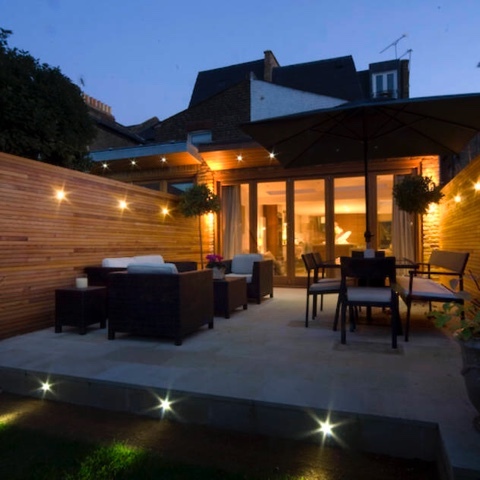 If you are, why not pop over to Homify for some ideas? Disclaimer: this post is in collaboration with Homify.